We know that SafetyDNA refers to the characteristics of individuals which affect their personal exposure to safety risks at work. But can we aggregate SafetyDNA across a whole organization? Certainly, safety is everyone’s responsibility, but when coworkers feed off of each other’s poor safety habits and attitudes, the resulting effects on safety risk and incident rates are greatly magnified. What happens when an organization has several employees with SafetyDNA that places them at risk in multiple locations across the company? What happens when supervisors and managers have at-risk SafetyDNA profiles as well? Given the critical role of leaders when it comes to safety, and the fact that they must lead by example, these are important questions. As I will discuss below, when SafetyDNA is consistently low across employees, sites, and leadership, the outcomes can be severe. Anhydrous ammonia, which is stored in liquid form, becomes a vapor when exposed to air and can be explosive. Ammonium nitrate, a highly volatile chemical, can be unstable when stored improperly. Regardless of the source, this incident has revealed a number of troubling details about the SafetyDNA of this plant. For example, they received fines from the Environmental Protection Agency (EPA) and the US Pipeline and Hazardous Materials Safety Administration in 2006 for multiple safety violations, including not updating their risk management plan and improper storage and transport planning of dangerous chemicals. Clearly these warnings did nothing to deter West’s management from continuing unsafe practices, because it was discovered that the plant was violating Federal regulations at the time of the explosion. 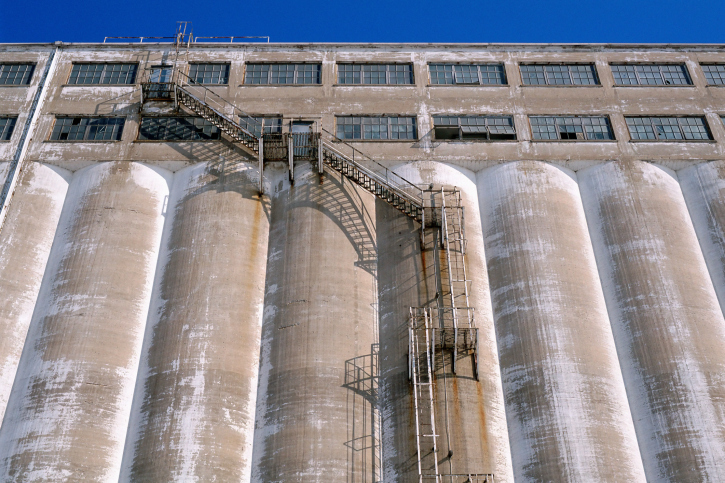 Sites that store 400 or more pounds of ammonium nitrate must report to the US Department of Homeland Security (DHS) for storage inspection. However, West was in possession of 270 tons of the substance, 1,350 times the amount required to report, but never contacted the DHS. This failure to safeguard against the improper storage of toxic chemicals is reminiscent of the BP Texas City refinery explosion in 2005 that killed 15 and injured over 170 workers. The takeaway message here is that when there is at-risk SafetyDNA at the hourly workforce level, coupled with similar SafetyDNA at the leadership level, it can be a deadly combination. At risk employees cannot be expected to work safely if the organization itself and its leaders are unwilling to adhere to safety standards. My second exemplar of poor SafetyDNA at the group level occurred on the campus of Texas A&M University. For decades, military students in A&M’s Corps of Cadets organized the construction of a huge bonfire as a rally before the annual football rivalry game against the University of Texas. Pressures to continually increase the size of the bonfire led to structural and engineering redesigns that many felt were unsafe. However, this tradition continued until 1999, when the 59-foot tall stack of 5,000 logs collapsed, killing 12 students and injuring 27. As with many on A&M campus and around Texas, this story hits home with me because I am not only pursuing my doctorate at A&M, but also personally knew many of the victims. An internal investigation identified a number of factors to have cumulatively caused this accident, in particular the inadequate strength of the tie down wires used to hold the logs together, which created extreme internal stress on the structure. Consequently, one might attribute the collapse simply to design errors, but in truth, the underlying problem was that multiple safety violations were overlooked at the time. In particular, many unqualified students were allowed to participate in construction, which may have led to the lack of execution in the structural soundness of the bonfire. Further, construction took place around the clock, some reports came in of unsafe horseplay by students during building, and the autopsies of some victims revealed high blood alcohol content, two of which were under the legal drinking age. The bonfire collapsed once before in 1994, but because no one was injured, inherent risks were not addressed. Hence, the social and legal backlash focused on the bonfire leadership and the university’s failures to maintain worker safety while overseeing the project, and the bonfire has since been banned by the university president. These are just two of the countless cases in which poor SafetyDNA at the organization-level fostered a high risk safety culture where at-risk behavior became the norm. When multiple individuals have SafetyDNA that raises their personal exposure, there is obviously increased risk of an event over time. And when this SafetyDNA is aggregated across teams, sites, and levels (i.e., when it includes leaders) of the organization, it is only a matter of time before someone is injured or even worse, killed. However, organizations can greatly reduce the likelihood of these unfortunate events by assessing their company risk profile proactively, and by measuring SafetyDNA at both the workforce and leadership levels. This powerful measure of current aggregate exposure can then be used in a variety of ways to improve safety behaviors across the organization, and to ensure that supervisors and managers lead safety more effectively.